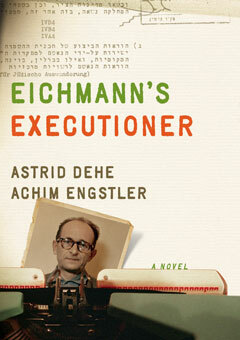 In May 1962, twenty-two men gathered in Jerusalem to decide by lot who would be Eichmann’s executioner. These men had guarded the former Nazi SS lieutenant colonel during his imprisonment and trial, and in the absence of trained executioners in Israel it would fall to one of them to end Eichmann’s life. Shalom Nagar, the only one among them who had asked not to participate, drew the short straw. In a novel that picks up decades later, Nagar is living on the outskirts of Tel Aviv, haunted by his memory of Eichmann. He remembers watching him day and night, the way he eats, the way he lies in bed, the sound of the cord tensing around Eichmann’s neck. But as he tells and re-tells his story to anyone who will listen, he begins to doubt himself, and when one of his friends, Moshe, reveals his own link to Eichmann, Nagar is forced to reconsider everything he has ever believed about his past. In the postwar tradition of trauma literature including Gunter Grass’s The Tin Drum and Bernhard Schlink’s The Reader, the highly acclaimed writing team Astrid Dehe and Achim Engstler raise provocative and universal questions of how we represent the past, whether we should, and how these representations impinge upon the present. Astrid Dehe is a journalist, translator, and teacher. She is a co-author, with Achim Engstler, of Eichmann’s Executioner (The New Press). She lives in Varel, Germany.